Solar System Shrinks with Pluto's Demotion Leading astronomers declare that Pluto is no longer a planet, shrinking the solar system from nine planets to eight. Pluto was discovered in 1930. It lost its planetary status when the International Astronomical Union approved a definition for planets that Pluto fails to meet. 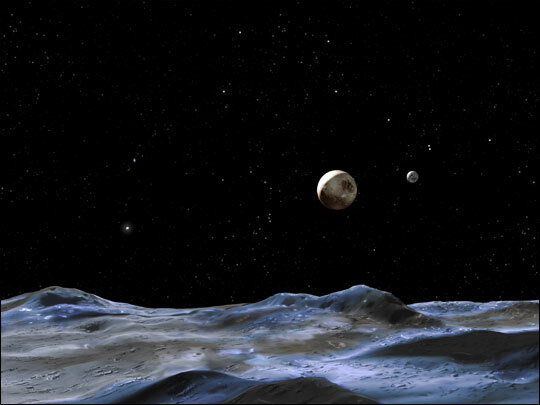 This illustration shows the Pluto system from the surface of a nearby moon-like object. Pluto is the large disk. Charon, the system's only confirmed moon, is the smaller disk to the right of Pluto. Leading astronomers declare that Pluto is no longer a planet, shrinking the solar system from nine planets to eight. Pluto was discovered in 1930. It lost its planetary status when the International Astronomical Union approved a definition for planets that Pluto fails to meet. Pluto will now belong to a new category of "dwarf planets," similar to what long have been termed "minor planets." Earlier this year NASA launched the New Horizons spacecraft on a 9 1/2 year journey to Pluto. The probe will allow scientists to better understand the distant body. 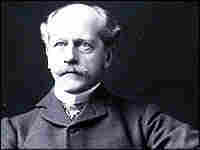 1905: Percival Lowell starts the search for Planet X. The planets, including the newly discovered Neptune, didn't move around the sun in quite the way gravitational laws predicted, and Lowell proposes that an undiscovered planet must be the reason why. He never finds Planet X before his death in 1916. Feb. 18, 1930: Clyde Tombaugh takes up the search in 1929 at Lowell's observatory and proves that discovering new planets is not glamorous work. For a year, he photographs the same section of sky several nights apart and then searches the images for any objects that move like a planet should. On Feb. 18 he looks at his photographic plates and knows right away that one of the dots is Planet X. May 1930: A little girl in Britain interested in Greek and Roman mythology tells her grandfather over breakfast that the new planet should be named Pluto. He cables the Lowell Observatory, and they unanimously vote for the name because Pluto is the god of the underworld, which seems appropriate for such a cold and remote planet, and the first two letters of Pluto are Percival Lowell's initials. June 22, 1978: The U.S. Naval Observatory's James Christy discovers that Pluto has a moon. He names it Charon, after the ferryman who take souls into the underworld in Greek mythology, but pronounces it Sharon because his wife's name is Charlene. The existence of Charon meant that scientists could get a better read on the mass of Pluto. They found that Pluto and Charon are actually pretty small. Together, they're smaller than Earth's moon, even. Aug. 30, 1992: Pluto's tiny size didn't disqualify it from being a planet, but then David Jewitt, an astronomer at the University of Hawaii, and Jane Luu, a researcher at the University of California, Berkeley, discover Pluto isn't the only chunk of rock and out there in the Kuiper Belt beyond Neptune. Scientists have found hundreds of these objects since 1992, so some astronomers start to think that maybe Pluto isn't so special after all. Feb. 3, 1999: Pluto's debated status as a planet gets publicity. The International Astronomical Union calms stargazers worried by recent media reports saying the IAU is planning to demote Pluto. Not so, they say in a press statement. They only want to include it in their numbering system for Kuiper Belt objects. May 11, 2000: Scientists may debate whether Pluto is a planet, but it's place in the classical music canon gets secured. Composer Colin Matthews writes a movement for Pluto into Gustav Holst's The Planets. 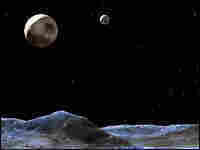 Although Pluto was discovered in Holst's lifetime, he declined to add it to his suite. Feb. 19, 2000: The Rose Center for Earth and Space at the American Museum of Natural History in New York City opens — and sneakily omits Pluto from its list of planets. No one seems to notice until the next year, when the New York Times writes a front page article about it. Jan. 5, 2005: Michael Brown, a planetary scientist at the California Institute of Technology, discovers what might be the 10th planet, Xena. He says it's rocky and icy like Pluto. When he announces his discovery on July 29, he forces astronomers to decide what makes a planet. Oct. 31, 2005: The Hubble Space Telescope Pluto Companion Search Team discovers that Pluto has three moons, not just one. Moons don't qualify an object to be a planet, but having a couple moons doesn't hurt Pluto's case. April 11, 2006: The Hubble Space Telescope finds that Xena is slightly larger than Pluto. Astronomers now have to make a decision: either Xena and Pluto are both planets or neither is a planet. August 24, 2006: The International Astronomical Union strips Pluto of its planetary status. The group says a planet must, among other things, have "cleared the neighborhood around its orbit." Because Pluto's orbit overlaps Neptune's, Pluto is out. The celestial body formerly known as the ninth planet will be reclassified as a "dwarf planet."